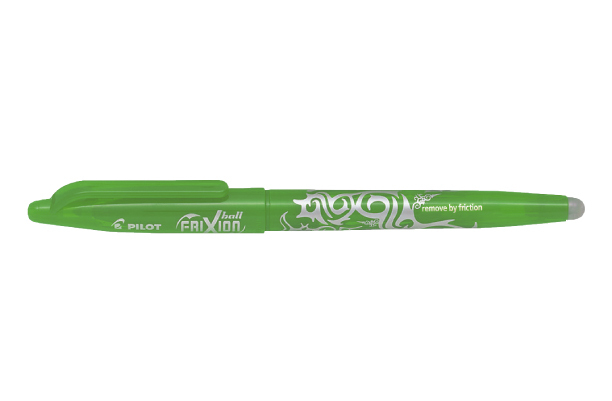 Price per box of 12 - The erasable Pilot Frixion Clicker is a unique retractable gel pen, perfect for everyday use at work or school. With no damage to the paper, you can erase and instantly re-write over your mistakes. The friction-generated heat caused when rubbing the paper with the special tips turns the ink invisible. Extract the tip by clicking the convenient pocket clip. Colour Ink: GREEN Ink matches barrel colour.